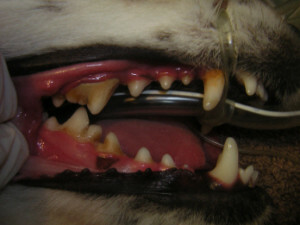 Pet dental health is very important. Have you lifted that lip lately? Has your pet come up to snuggle and you’ve been offended by their breath? It might be a good time to consider a vet visit. 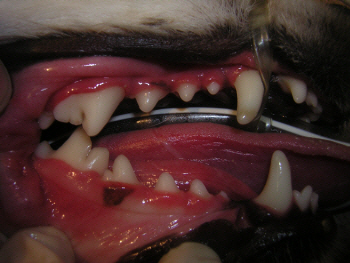 Just like humans, pets can develop tartar and plaque, which act as highways for bacteria into the gums. This can eventually lead to gingivitis. Once disease has set in, a dental cleaning is often warranted. Although dental chew toys and other over the counter products are available, the most effective way to clean the tartar, plaque and treat the gingivitis is through a dental cleaning. The same dog’s teeth after cleaning: Note the lack of tartar, the gums will heal over the next few days. Extractions are performed only when your veterinarian validates the necessity for prolonged health of the mouth. As part of the dental cleaning, we take a full set of digital dental x-rays. With these, we can look for infection, fractures and pockets around the teeth. 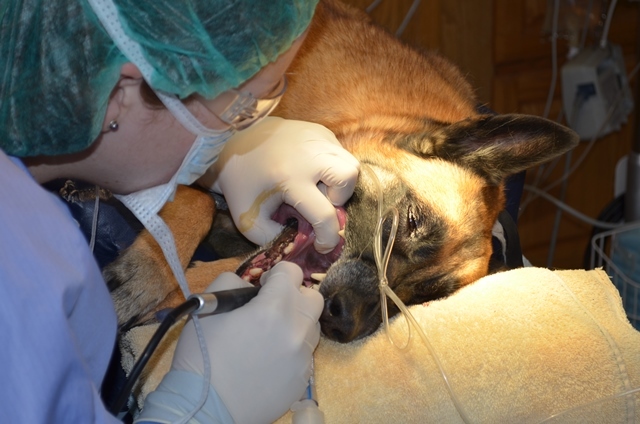 Some pets need to have a dental done on a yearly basis, while others have them more or less frequently depending on overall health of the mouth. 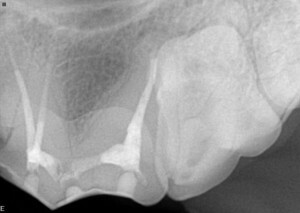 Digital x-rays are also taken of the whole mouth following extractions to ensure that all roots were removed. We carry a diet made by Royal Canin Dental. There are other foods on the market that are available over the counter but be cautious when looking at them. 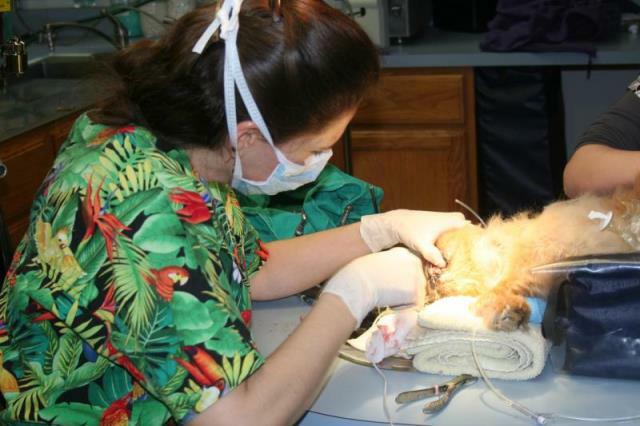 Unless they carry the seal of the Veterinary Oral Health Council (VOHC) they have not proven to help at all!